The Philadelphia Eagles were awarded linebacker D.J. Alexander off of waivers, according to Jeff McLane of the Philadelphia Inquirer. Alexander was waived by the Seattle Seahawks on Saturday. #Eagles claimed LB D.J. Alexander from the Seahawks. Alexander (6-foot-2, 233 pounds) was a fifth round pick (172th overall) of the Kansas City Chiefs in the 2015 NFL Draft. 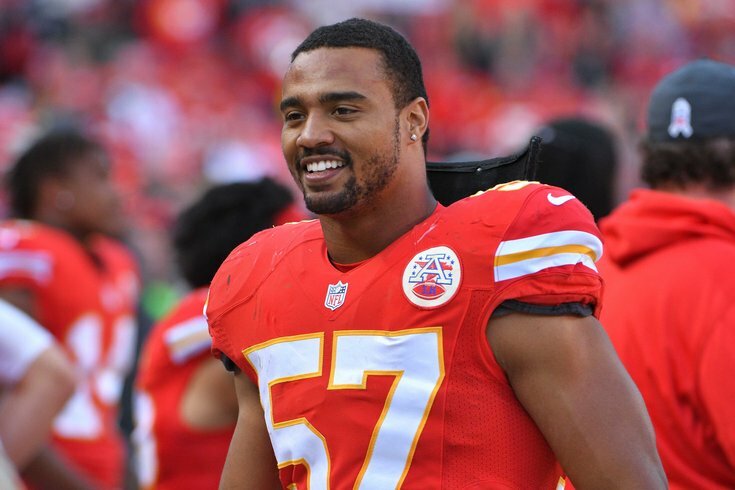 He appeared in all 16 games both in 2015 and 2016 with the Chiefs, and in 12 games in 2017 with the Seahawks, mostly on special teams. In three career seasons, Alexander has 39 tackles and one forced fumble. Alexander has nice speed for a linebacker, as he ran a 4.56 at his pro day in 2015. Alexander actually made a Pro Bowl as a special teamer after the 2016 season, when he replaced the New England Patriots' Matt Slater, who was playing in the Super Bowl. Alexander joins a linebacking corps that includes Jordan Hicks, Nigel Bradham, Nate Gerry, Kamu Grugier-Hill, Joe Walker, and LaRoy Reynolds. The Eagles will have to make a corresponding roster move (cut somebody) to add Alexander. The guess here is that it will be... Reynolds? We'll see. Update: The Eagles cut Joe Walker to make room for Alexander.